If you are a parent or a carer, we hope you find the following links useful. St. Peter's CE Primary School is not responsible for information and images outside of this website. We will endeavour to add links to appropriate materials only but we cannot monitor links from these websites to new ones. We teach your child about keeping safe online and would encourage you to do so. 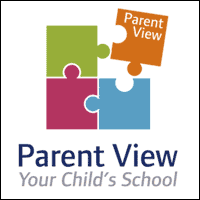 Parent View. This is your chance to tell Ofsted what you think about your child’s school! BBC Bitesize Learning resources for kids and adults. Find video's by level, subject and topic. Puple Mash This allows children to explore and enhance their knowledge in a fun and creative way. Newsround News and fun facts for kids. Top Marks A website with thousands of interactive resources, Useful for revision and homework. The Lancashire Grid for learning A variety of educational resources and content. Lancashire Music Hub A way for children and schools to make music and develop their skills. Anti bullying Alliance All about bullying in the UK including support for parents and children.